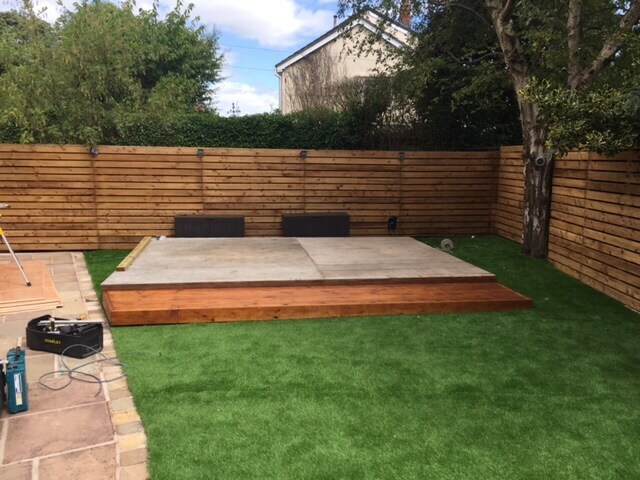 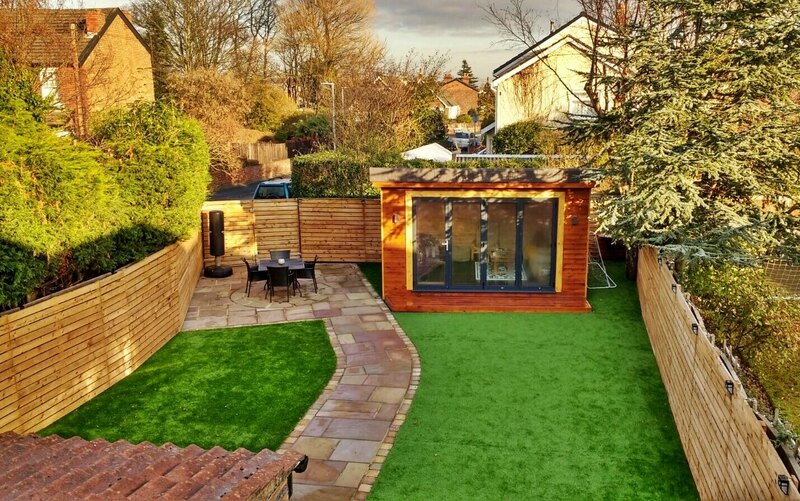 The garden room provides a private sanctuary and is an excellent way to create extra entertaining, living and relaxation space. 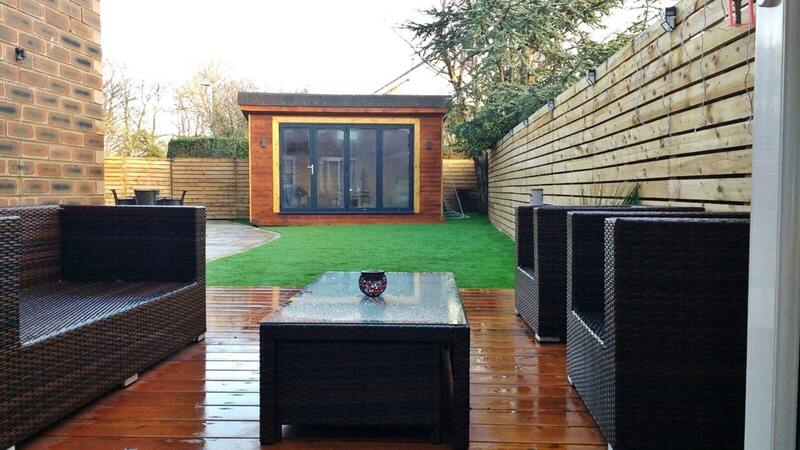 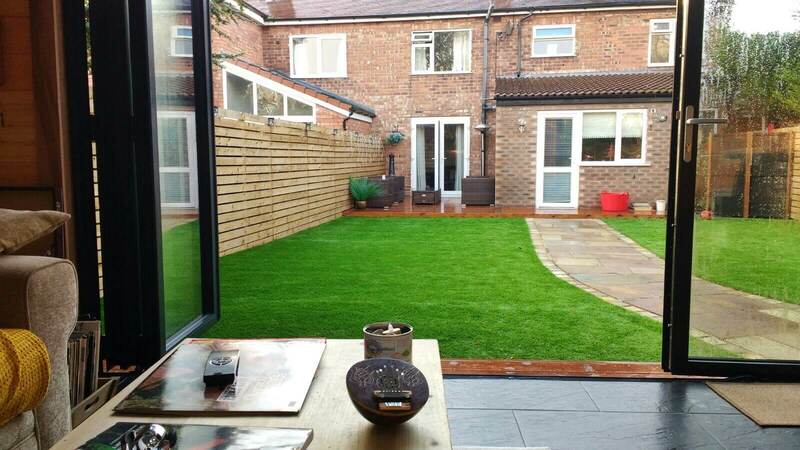 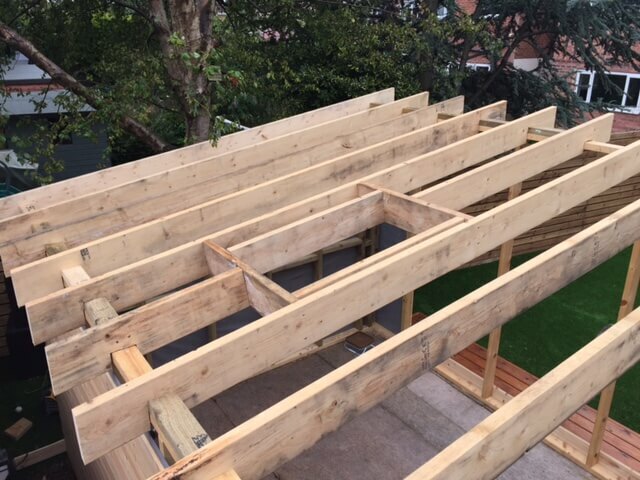 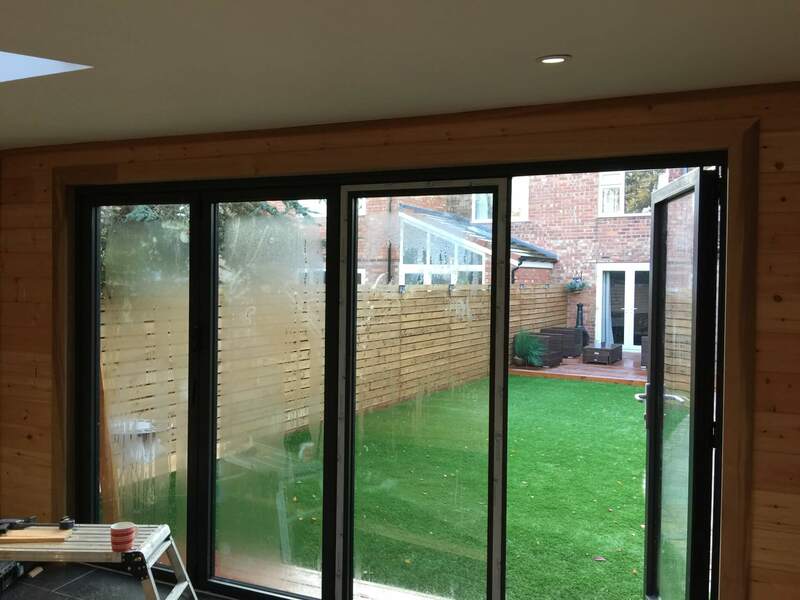 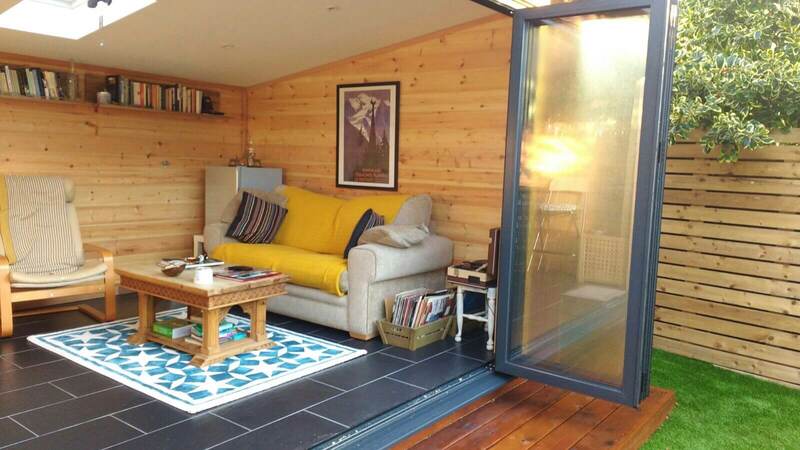 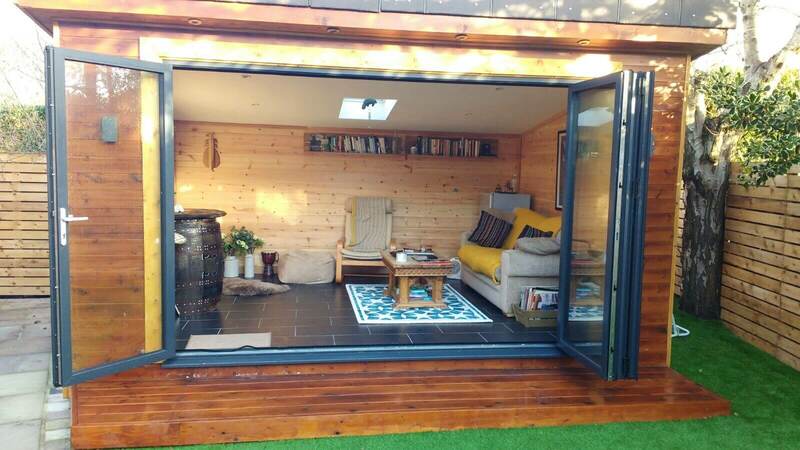 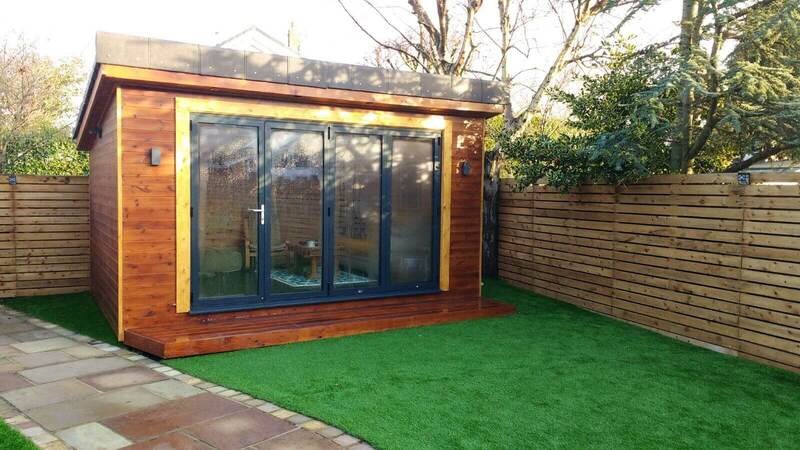 This garden room in Formby is designed for multi-use. 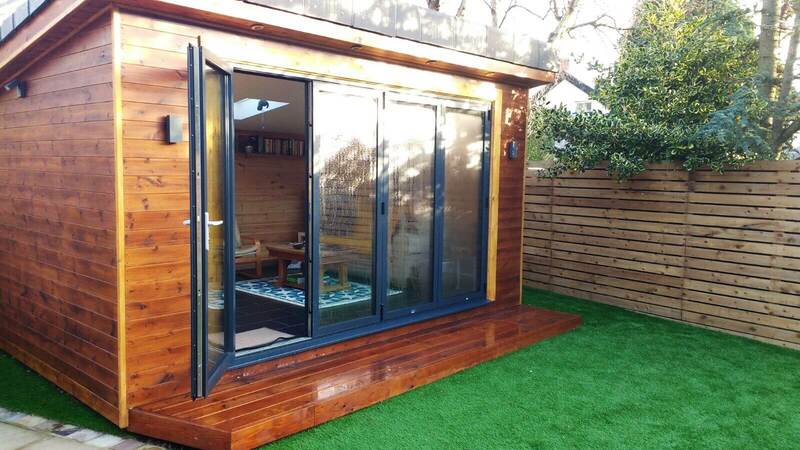 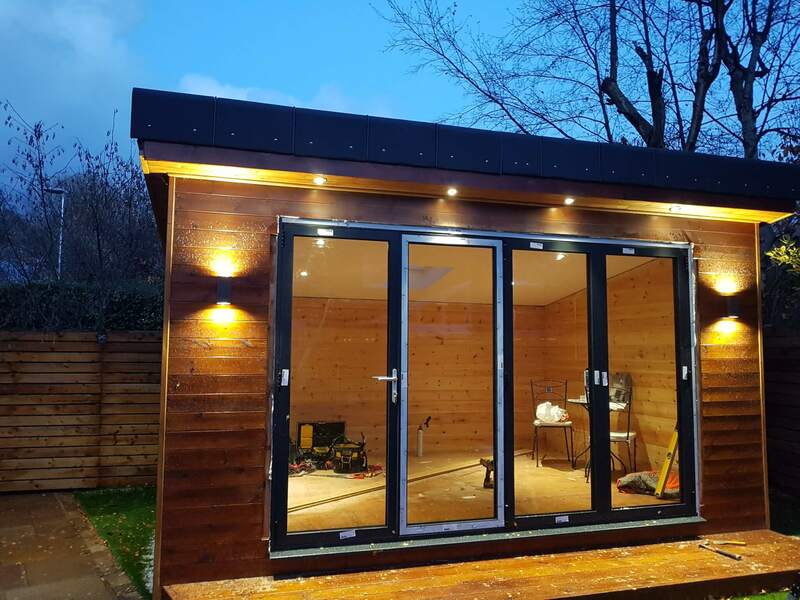 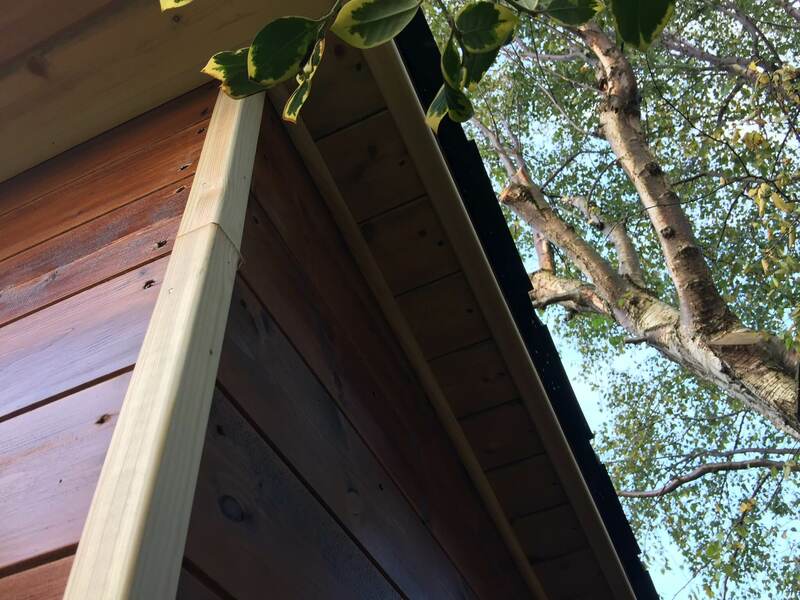 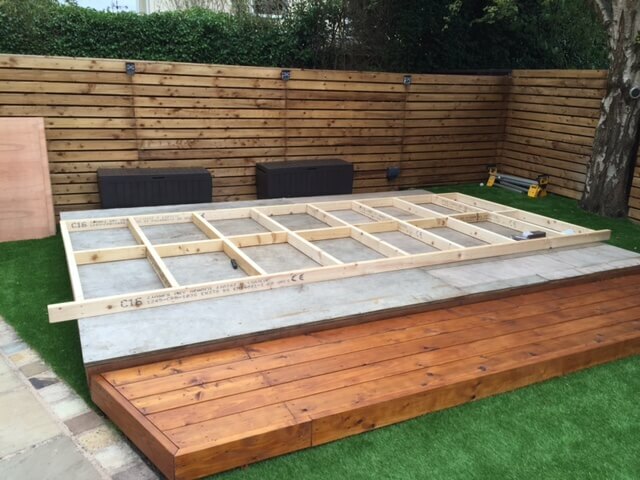 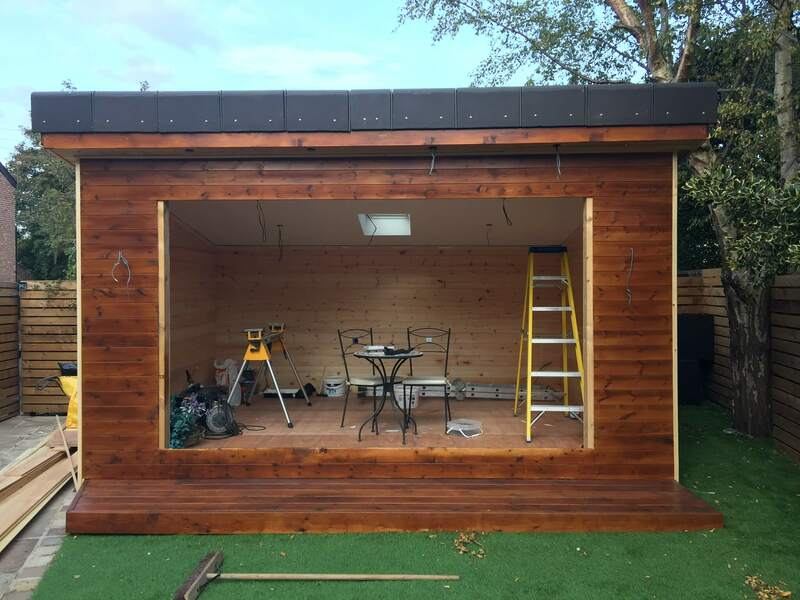 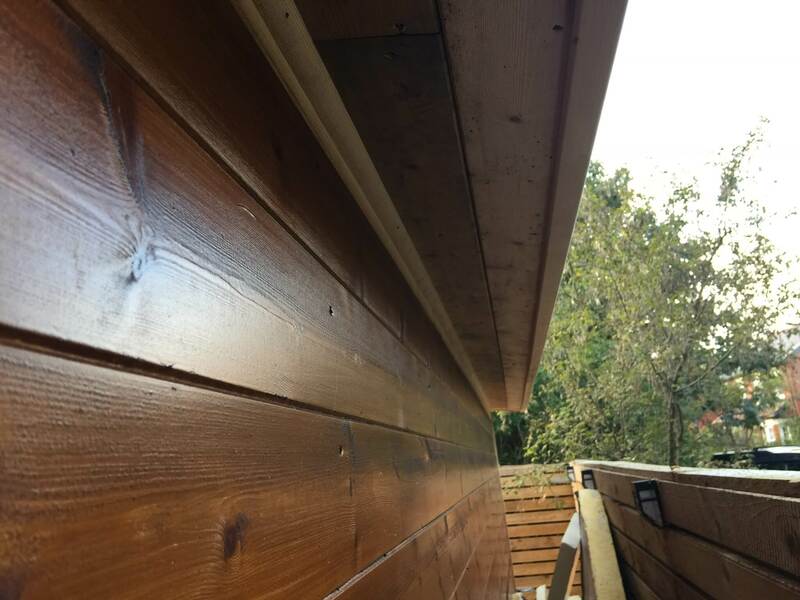 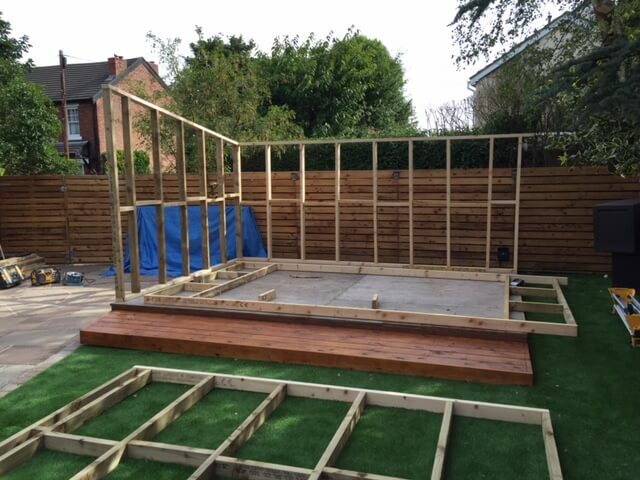 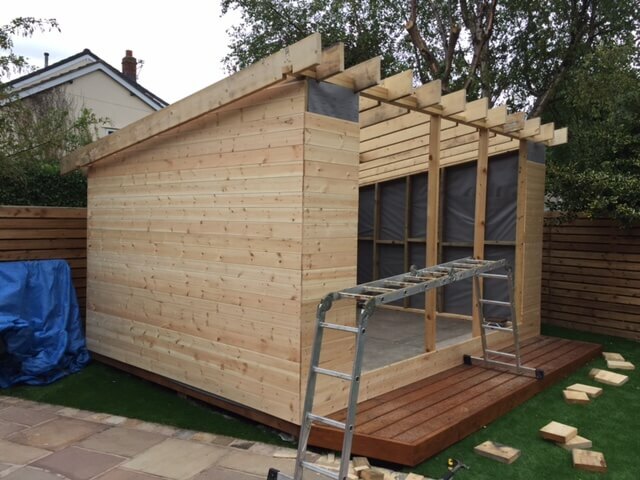 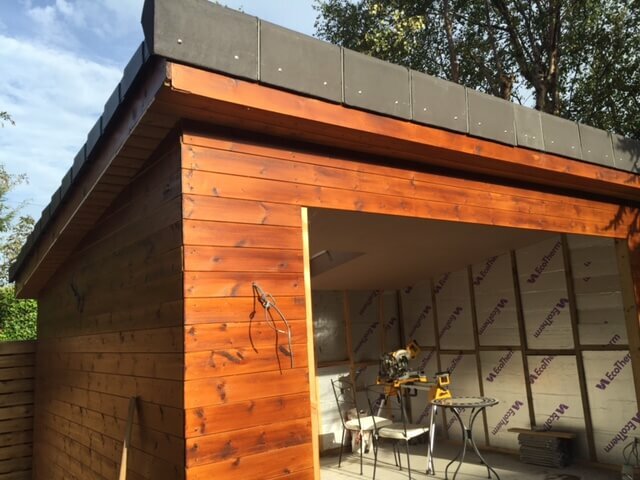 This building is 4.5m x 3m, vertically clad in cedar with black aluminium bi-fold doors. 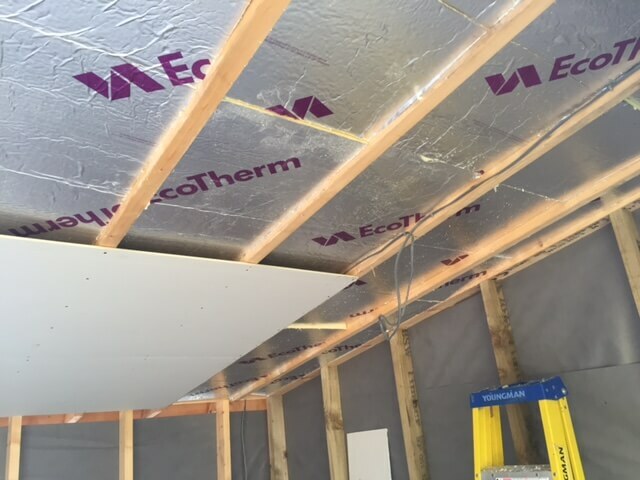 The roof is covered by a rubber sheet. 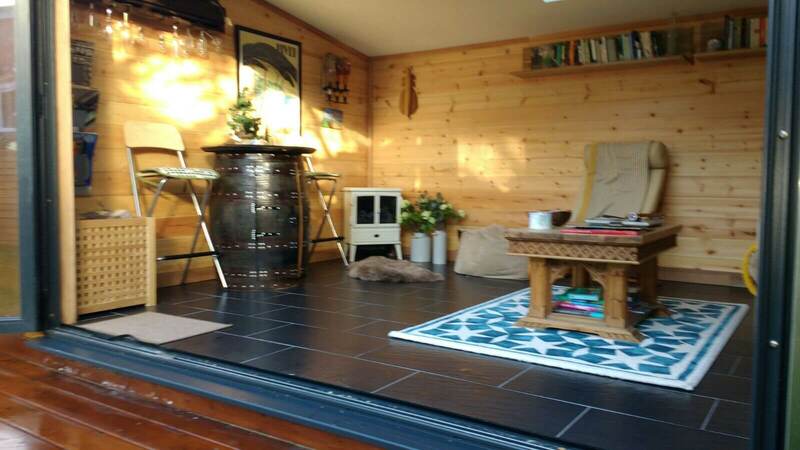 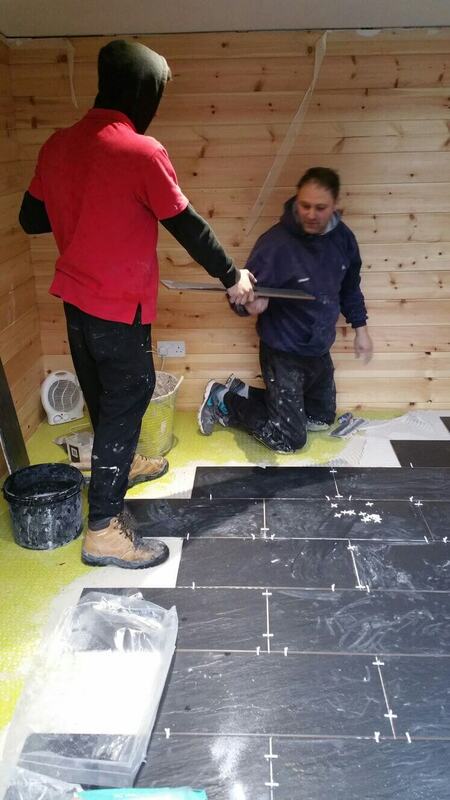 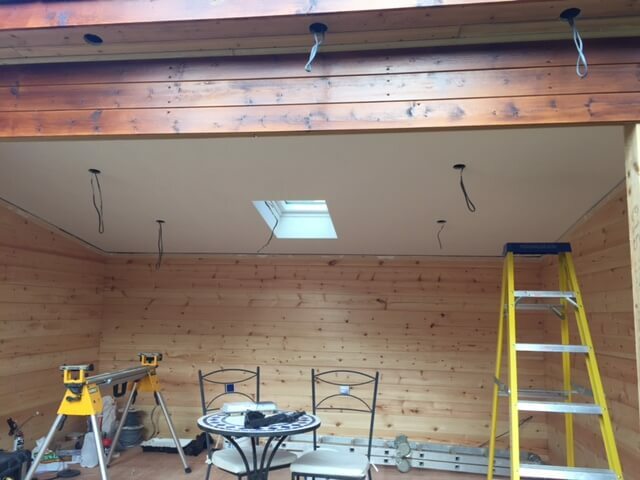 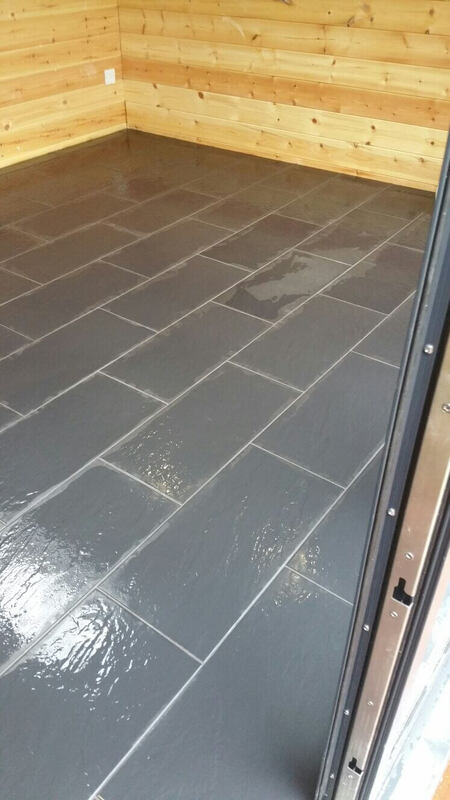 Internally there is a black tile effect flooring, the walls are finished with cedar timber. 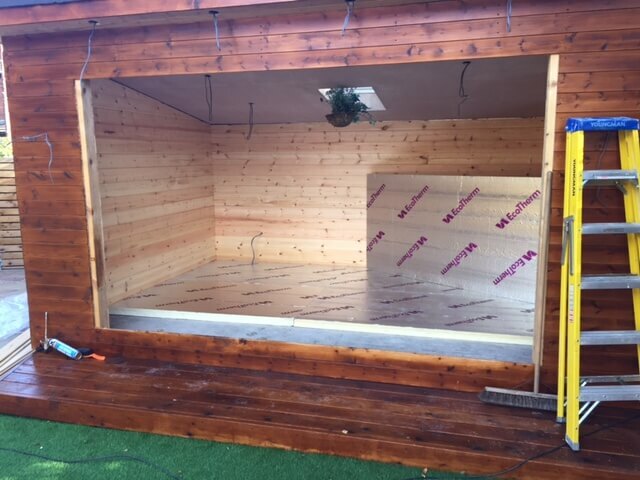 Electric underfloor heating has been installed. 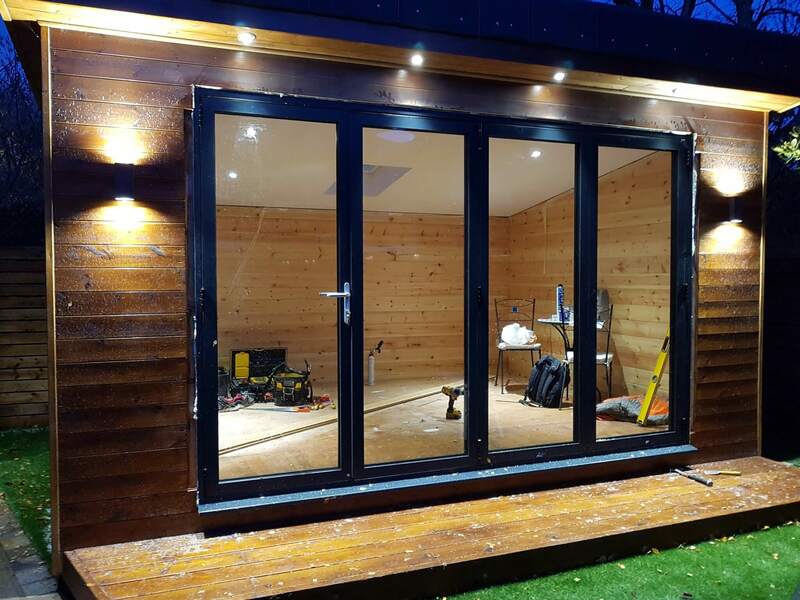 It has external LED spotlights and is finished with decking area.